This is the fifth novel in the Mitford series. I really enjoyed this series. I got caught up in the lives of the characters and always looked forward to the next installment in the series. None of the books in this series will win a Noble Prize but I still like them. Recently retired after years of serving as the rector of Lord's Chapel, Father Tim agrees to pastor a small parish off the Atlantic coast. There's only one problem: How can he and Cynthhia leave the town-and the boy-they love? 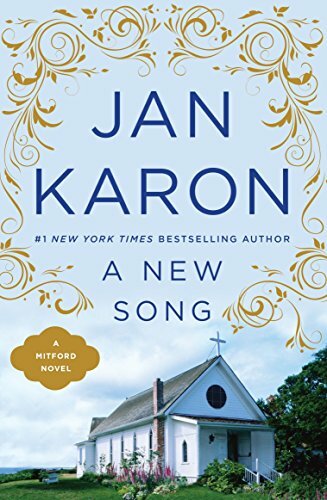 Soon, however, the charming island of Whitecap reveals its own cast of unforgettable characters: a lovelorn bachelor trying his hand at personal ads, a church organist with a past, a gifted musician who never ventures beyond his gate, and a young mother struggling with paralyzing depression. Still, Mitford is never far from their minds-especially when Dooley ends up on the wrong side of the law. On the way to Sweden! It too arrived with the others, thank you so much Alrescate! !